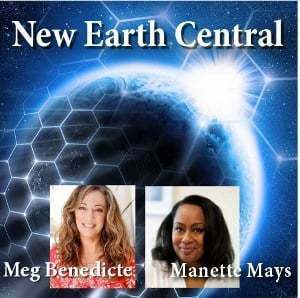 Join Meg Benedicte and Manette Mays for a timely podcast discussion on current Ascension topics and cosmic events. The show includes discussion, Q&A (email questions) and ‘live’ Ascension Activations. We are still receiving and integrating 11:11 Activations through November, 2018. All shows are available for replay at the event link. The recording is accessible within minutes upon completion of the show broadcast. You will receive a separate login email with event link once payment is processed. Never miss an email from us and add support@newearthcentral.com to your IP ‘approved list’ to prevent blocking to spam. 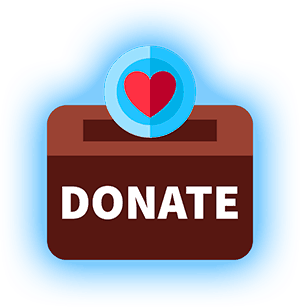 If you do not receive an immediate email response please check your spam filter or junk folder and please note if you are on gmail it may be in your Promotions Tab or Updates Tab. We will be setting up the studio an hour before ‘live’ show and not available to respond to all the last minute emails. I’m intrigued that since Sunday my sleep has greatly decreased and now I feel quite tired. Try as I may napping is impossible too! Since 11-11-11 I’ve been going through the throes of depression, no energy, intense reading of the deep state, cabal, illuminati. I know I’m stripping myself of past energies that no longer serve me in preparation for ascension & greater works toward our New Earth. Helen, it does help to be aware you are clearing these dense past energies, not to let them take over. Keep spinning them out of your body, heart, mind and energy field. When I become aware of something rising to the surface for release, I focus on where I’m feeling the energy and move it into the spinning Quantum Vortex for release. Do it daily if you need to. I also will be offering some group activations on this very energy in our upcoming New Earth broadcast on Nov. 28th. I am trying to contact Diane Wilcoxson about the passing of our mutual friend. Can you please have her email me directly? So Glad to see above-Helen Oates-is experiencing the same Deep Depression that I am. I don’t feel so alone. Wish I could somehow lessen it, & hope by listening to your upcoming Seminar, it will help! Thanks & Hugs Meg for all you do for Humankind! I’ve listened to you also, on Kathryn May’s show. You are a Delight for helping us, as we are all going through things, we don’t really understand, and can’t seem pull ourselves out of. Keep up the Great and helpful work you do. I APPRECIATE YOU SO MUCH!!! He had a loving pure heart, but was medicated for depression with a drug that became his exit pass. I feel he was deployed to work on a vaster more limitless level. For the last 2 r 3 wks i feel like my heart is cut opened straight across my chest so Im assuming its from my past, Im just trying to go theough all the emotions and deal with any loss ties ti bring peace and love back and clearing my chacras, praying and trying meditate . Do u have any suggestions .